First off, both cards fit Crazy 4 Challenges #63, which is an easy one this week...to create a Christmas card. This first card also uses Twisted Cards sketch #33...which is an awesome clean & simple sketch if you are searching for one this week. Be sure to check it out! Instructions: Make card from pink cardstock. Tie ribbon around a patterned paper block and adhere to the front. 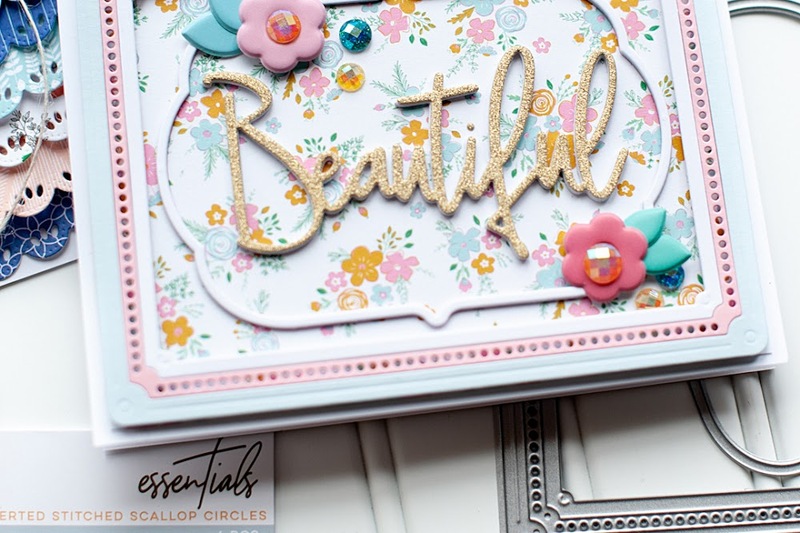 Embellish a white cardstock block with stickers and diecut sentiment and adhere to the front. Accent with clear jewels. This next card uses the Mojo Monday 165 sketch. The original sketch has the middle part at an angle...but I just couldn't do it. I very rarely angle anything anyways, but it also just didn't work for my card. So- I made the sketch work for me instead...tee hee! It is a really great sketch too, so be sure to check it out!! Instructions: Make card from cardstock and adhere patterned paper to the front. 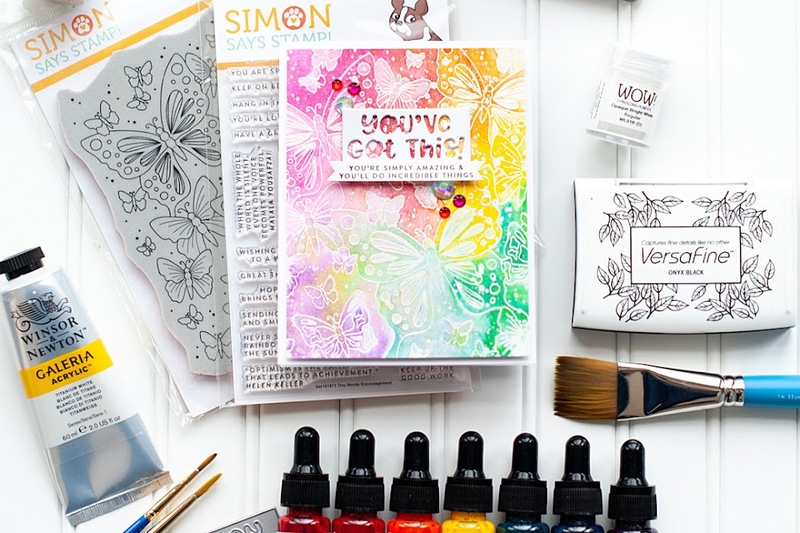 Cover the bottom of a white cardstock block with glittered paper and border stickers. Tie ribbon around the bottom and adhere to the front. Accent the top of the block with the scalloped circle die, santa sticker, and three jewels. How CUTE are those Doodlebug products that I used?! I got them in a goodie box recently, and just LOVED how cute and fun they were! I couldn't wait to use them, and today I got the chance to. I realized today that Doodlebug has been making some of my favorite products for a LONG time now. I can't live without their jewels...they are just amazing! Today I am grateful for my photography clients, and how much they make me enjoy my job. This is from a wedding that I photographed this past September...two of my favorite detail shots. Weddings are my absolute photography love. Senior portraits come in a very VERY close second. I am so happy that I took the jump and went to photography school. Starting a business is not an easy thing to do, especially when you live in an area saturated with photographers. But every time I am on a shoot, I am reminded of the joy that it brings me. I feel alive when I am behind that camera capturing the story of a wedding day, or the true essence of the person in front of me. 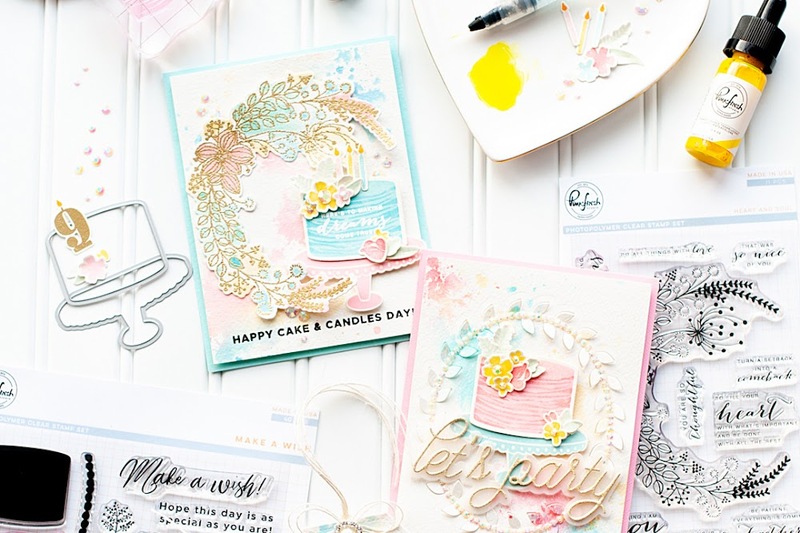 Super fun and cheery cards Lea! I love the colors! All I can say about the pics of those shoes is WOW! I didn't realise you were a professional photographer Lea...although I have always admired the way your project pics literally jump off my screen with their bright, sharp beauty...I should have guessed!! Have you ever blogged tips about how you get your craft project pics to look so great....i.e. what lens you use, what lighting etc? I have difficulty with depth of field, and light....I always run actions over them in PS (Pioneerwoman Boost, Sharpen and Lighten) to improve colours etc, but I wish mine looked half as vibrant and fab as yours!! Wow! What incredibly vibrant cards! Wonderful job on the Mojo sketch! And after reading the above comment, now I know why they stand out so much. Great job on all fronts! I love your cards! They're bright and cheerful, and just wonderful! I'm glad that you're doing what makes you happy as well. Your photos are gorgeous! Thanks for being Twisted with us this week! Your card are absolutely adorable my friend!!!!! Your work is always so inspiring!!! I love your photography too!!! You are the best photographer I know! Ben's senior portraits were the best!! You rock my friend! Love these cards. The colors are bright and fun!!! Wow Lea I didn't know you do photography! The cards are absolutely adorable but I do love the shots! Cute as can BE! These are bright, cheerful, fun and absolutely put a smile on my face! Seriously adorable! Your cards are great Lea - so cheerful - love the color combos. Thanks for playing along at Twisted Sketches! Wow, Lea, both cards are beautiful! I love that Doodlebug paperline. Thanks for playing with us at Twisted Sketches. "Fly Free" Lawn Fawn Sneak Peek! "My Silly Valentine" Lawn Fawn Sneak Peek! "Lawn Trimmings" Lawn Fawn Sneak Peek! Warmest Wishes Mr. & Mrs.! "Critters in the Snow" Lawn Fawn Sneak Peek!! !